The samples for this study were 16 pork carcasses taken from the daily production stock of a slaughterhouse. Cylinders of the fat were drilled out using an 12 mm rotary biopsy punch drill and subsequently sliced in discs (height 1.8 mm) to create a depth profile. In total 105 discs were acquired from the 16 loins. Each disc was divided in two, and one half was analyzed by Raman spectroscopy and the other half was used for reference analysis by HPLC. Download the data in MATLAB format (dataset object of www.eigenvector.com). 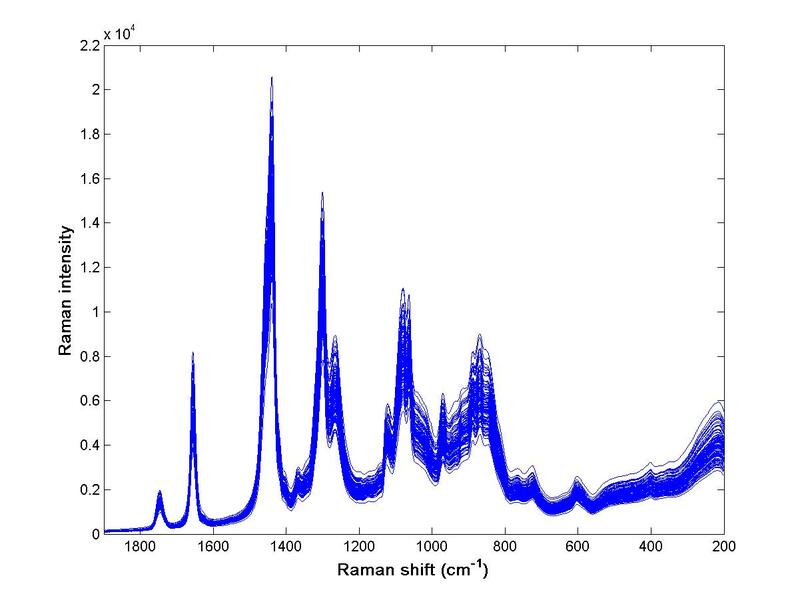 Lotte Bøge Lyndgaard, Klavs Martin Sørensen, Frans van den Berg and Søren Balling Engelsen (2012): Depth profiling of porcine adipose tissue by Raman spectroscopy, Journal of Raman Spectroscopy, 43, 482-489.